More and more users are storing their data on their PC these days. It is mainly because of the fact that iPhone provides non-expandable storage and numerous crashes of iOS system scared them. And with file sizes that are increasing day by day, it is actually a wiser choice to transfer and store data safely on a big hard disk. 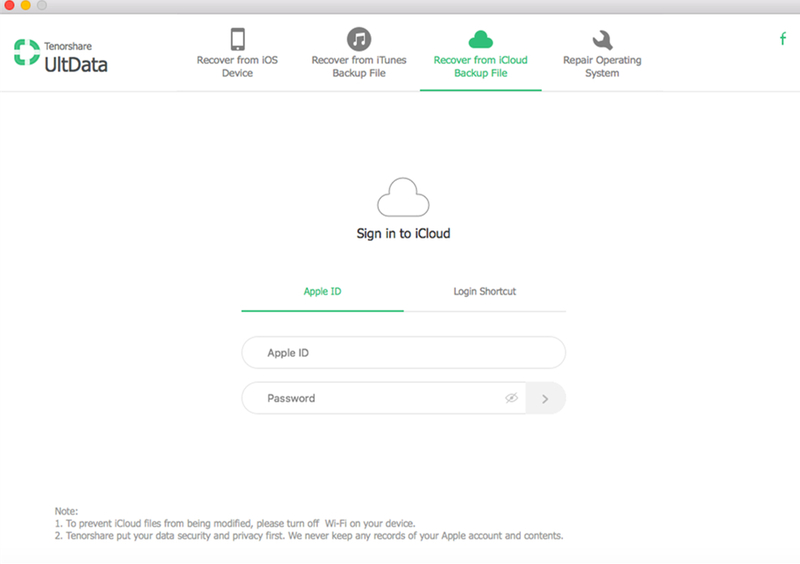 Also, storing data on other devices is easier than creating a backup, as iTunes and iCloud backups are unreadable and you won't be able to use them in any way unless you restore them. So, when it comes to how to transfer photos from iPhone to Mac, it can be divided into two categories; one is USB connection or wire transfer and the other is wireless transfer. Both are elaborated below in this detailed article. 1. Run Tenorshare iCareFone on your Mac after downloading and installing with the help of the wizard. 2. Now, connect your iPhone to Mac via an original USB cable. 3. You need to wait a few seconds for the Mac to detect the device. 4. After detecting your device, find "File Manager" and then click on "Photos". 5. After that, you will be provided with all of the images from your iPhone on the main interface. Preview and select all or the ones you need to send. 6. After selecting the pictures you just need to click on "Export" to transfer the images. And you are done! All the images will now be migrated to your Mac in no time now. More or less Tenorshare iCareFone provides the best support when it comes to sending photos. 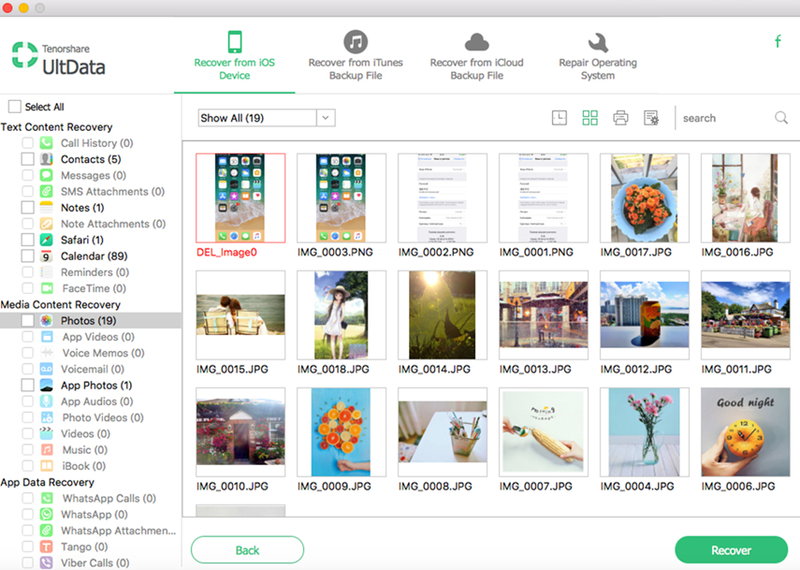 We highly recommend this software to transfer photos from iPhone to Mac. Go for it! 1. Run Photos App on Mac. 2. Now, find a USB cable and connect your iPhone and Mac together. 3. After Mac detects the device, click on the "Import" tab. 4. All of the photo collection from your iPhone will be opened. 5. Now, you can choose of them or select a few specific ones. 6. After the selection process is done you can transfer them to Mac. Although it is fairly a new app it has gained a lot of popularity among the users. Keep in mind, you will need iTunes pre-installed in your Mac to complete the process or else it won't work properly. 1. Open your Mac and install Image Capture. 2. Now, get a USB cable and use it to connect your iPhone and Mac. 3. Now, open the program on Mac. 4. Now, a list of devices will be opened in front of you, be sure to select iPhone among them. 5. After that select a destination for your transferred files. 6. In the end, hit "Import" button to transfer the files to Mac. Here's how to transfer pictures from iPhone to Mac with Image Capture. It is a very reliable tool when you are transferring pictures from one iDevice to another, and there is no concern about data loss as well. 1. Get a good quality USB cable and connect your iPhone and Mac. 2. Launch the Preview app on your Mac. 3. Go to the upper left corner of the panel and click on "File". 4. Now, select the "Import from your iPhone" option. 5. 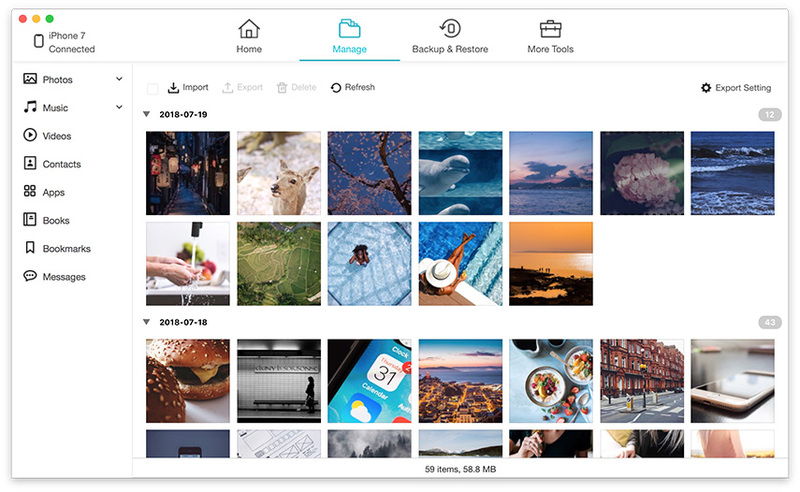 Now, you can transfer all the photos from your iPhone or select a few among them. 6. Finally, choose the destination for the imported photos. Ultimately, Preview is a great app but it is mostly used for its photo editing and PDF viewing functions, and if you take a deeper look at the app, you will find that the Import and Export options it provides are efficient. Overall a viable answer to a typical question like "How to transfer photos from iPhone to iMac?" 1. First make sure both your iPhone and Mac are connected to the same Wi-Fi. 2. Enable Airdrop on your iPhone and choose "Everyone" in discovery settings. 5. Simply hit Share and carefully save to Mac. And you are done! Be sure to remember that AirDrop works in a different way compared to any other app. And you will need to have good Wi-Fi and the devices need to be in close proximity to each other for a smoother experience. Before all of these fancy apps took over the market, iCloud was one of the few ways to transfer pictures from iPhone to Mac. So, basically, if you want to transfer photos with the help of iCloud you have to use the iCloud Photo Library feature and for that, you just have to turn on the function on both the devices namely your iPhone and Mac, and the app will take care of the rest. 1. Open your iPhone and go to "Settings". 2. From there connect the device to a Wi-Fi network. 3. Now, go to "iCloud", before you have to tap on your name for iOS 11 devices. For iOS 10 or earlier, straight go to "iCloud" after "Settings"
4. After that go to "Photos" for iOS 11 devices and "Photo & Camera" for iOS 10 or earlier users and activate the "iCloud Photo Library" option. 1. Connect your Mac to the same Wi-Fi network as your iPhone. 2. Run the Photos App and click on the Photos option on the top. 3. Now, go to System Preferences and look for the iCloud tab. 4. There will be a list of options, you will find "iCloud Photo Library" among them, turn it on. After this, the app will take care of everything and sync photos automatically from your iPhone to Mac but it will take a few hours to sync the data. You can follow the progress from the iCloud panel. You can get access to the synced photos in the Photos app. When it comes to sending data from one device to another, we are forgetting the most basic method, Email. Actually, before all of these, the only way to send data was to attach the data to an Email and send it to the target. So, if you want to transfer photos this way to your Mac then read the following steps. 1. Now, on your iPhone go to Albums or simply open Camera Roll and select the photos you want to send and tap "Share". 2. A list will be opened, choose "Mail". 3. The new Email creation window tab will open with the attached images already present. You just need to provide the Email address and tap "Send" to transfer them to Mac. 4. Open your Email from Mac and download it to your preferred location. So, it seems like Email is a secure way to transfer your photos from one device to another. Unfortunately, it is impossible to send a large number of photos through Email, so this is not a very practical method. Therefore, we have come to the decision that both the wireless and USB methods are useful and viable. And now you know, how to transfer photos from iPhone to MacBook Pro/Air with detailed guides of everything you will ever need. All of the apps that provide support are Apple certified except for Tenorshare iCareFone. It may be a third-party app but it is fast, efficient and provides more than one function for your iDevice. It is highly recommended by its large number of users including us due to the fact that it offers the best value and support than any other apps out there.